Waymo appears to be gearing up for a big launch. 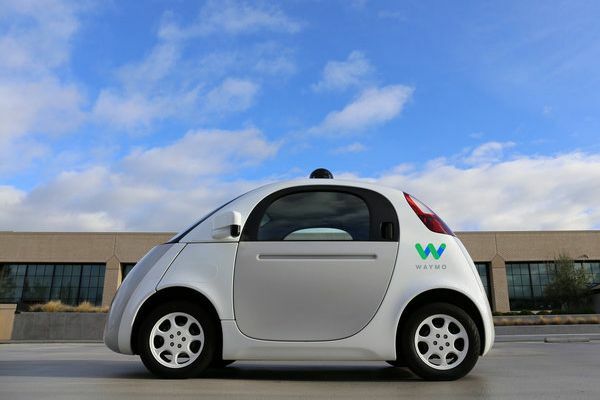 Waymo, Google’s vehicle division that focuses on driverless cars, is preparing to launch a new ride-sharing service within the next few months, according to a report from Ars Technica via The Information. Citing two sources familiar with the company’s plans, The Information states Waymo’s service will be “powered by self-driving vehicles with no human ‘safety’ drivers,” and may arrive as soon as this fall. The service is expected to launch in the suburban city of Chandler, Arizona (near Phoenix,) which certainly make the most sense, seeing as how the self-driving company has done extensive testing there this year. There’s no clear indication that Waymo will actually hit this vague release window, and there are several factors that could impede the service’s progress or its expansion to other areas. For starters, their autonomous cars apparently have trouble making left turns, especially when no green arrow traffic signal is present. Cul-de-sacs and shopping mall parking lots have also confused the vehicles, the latter since they’re sometimes poorly represented on Waymo’s 3D maps. Beyond that, the vehicles’ ability to call human operators for advice on confusing scenarios has resulted in them holding up traffic. This has reportedly happened in Phoenix, which is a little concerning — if they have performance issues in areas they’re familiar with, how are they expected to perform in areas where they haven’t been tested? “When Waymo tested in Phoenix earlier this year, drivers sometimes had to take over the wheel to prevent the cars from holding up traffic because it took too long for humans in the command center to answer the cars’ requests for help,” writes The Information. Of course, since these issues occurred earlier in the year, they may have already addressed through further testing or Intel’s recent involvement. Waymo may also intend to hire and train more human operators. Despite the technical issues, Ars Technica notes these are problems a company only worries about when they’re on the verge of launching something in the near future, not something that’s years away. Furthermore, Waymo’s concerns can be taken as a sign of the company’s overall investment in self-driving technology, and its belief in their service’s potential to work and benefit society. Waymo isn’t the only company testing their cars and service, as GM and Lyft have also been testing their own vehicles, but someone has to be the first to officially launch a commercial product. Even if it misses its reported release this fall and rolls out next year, Waymo would still be ahead of its competitors; Mercedes-Benz’s service isn’t coming until 2020, while the recent Ford and Lyft partnership won’t allow the use of autonomous cars until they’ve been fully tested. If autonomous cars are going to impact the way we drive and save lives, they need to be available to more people. Waymo’s upcoming service could be the one that finally kicks off that change.